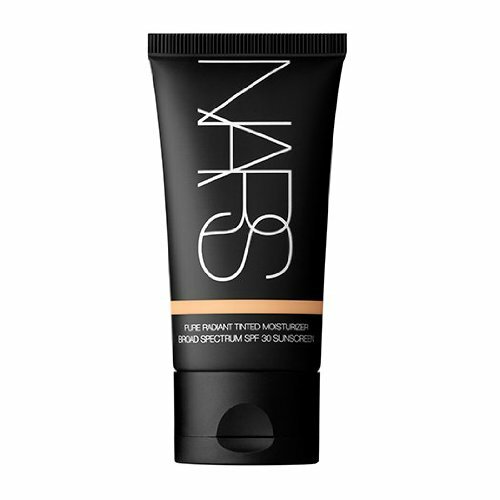 What is the NARS Pure Radiant Moisturizer SPF30? Is there something special about its formula? How does your skin feel when using it? How to use it? 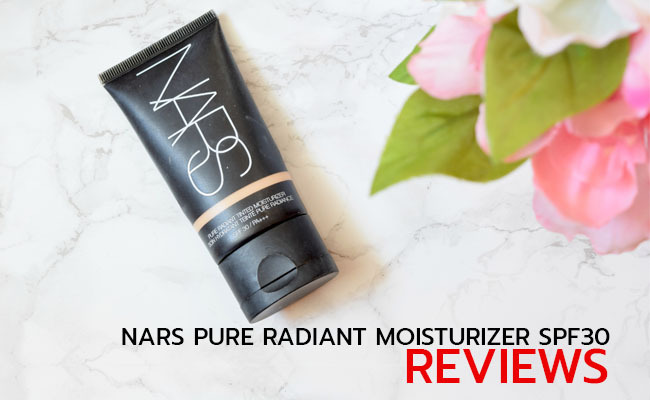 Trying to pinpoint the most important benefits for your black skin when using the NARS Pure Radiant Tinted Moisturizer Broad Spectrum SPF 30 puts you quite in a pickle as the moisturizer simply does so many good things for your skin. Nars Pure Radiant isn’t just protecting you from the sun’s bad UVs (it has a SPF 30 broad spectrum), but it also hydrates your skin. It minimizes the appearance of hyperpigmentation and whitens the dark spots, leaving your skin tone evener and glowing. The moisturizer is also tinted and comes in a nice variety of colors so finding the one that matches great your skin tone isn’t going to be difficult. The moisturizer is made with naturally derived botanicals and ingredients that hydrated the skin. The formula is oil-free and gives a translucent layer of color, protecting your skin from sun. The main ingredients are kopara from French Polynesia and mineral rich seawater that give the skin the minerals it needs for a softer and smoother look. The mineral seawater- is loaded with magnesium, calcium, potassium and sodium. It plays a big part in the health of your skin and helps the skin communicate between them for faster healing of the damaged skin. It eliminates the dullness, dryness, irritation and blotchiness from skin, while hydrating and strengthening the outer layers of skin. It closes the open pores and balances the oil production within the skin. It’s also able to soak up excess oil from skin, keeping it nicer looking. It’s strong enough to kill acne causing bacteria and restores skin’s natural pH. It’s great for healing scars and scrapes. It has anti-inflammatory abilities and exfoliates the dead skin cells. Natural polysaccharides from Moorea Island in French Polynesia- it’s able to hydrate and to sustain the natural cell renewal. It tones the skin too. The moisturizer doesn’t contain parabens nor synthetic fragrance. It doesn’t irritate the skin and it’s a safe option for the sensitive skin. It’s also a valid option for the dry and mature skin. On top of everything else, the moisturizer is also dermatologically tested, eliminating the need for applying sunscreen. The moisturizer lasts all day long and doesn’t leave a greasy feel on skin. It has just the right consistency and doesn’t leave a cakey finish, but a natural and pleasant one. It goes on the skin nicely and smoothly and doesn’t feel heavy. It provides great coverage and feels creamy and lush. The coverage is sheer and easy to build upon. Many women wear it easily under the makeup. It’s not causing irritation and has a pleasant smell too. It’s non-comedogenic and protects the skin from sun. The tinted moisturizer evens skin tone and diminishes the appearance of dark spots. Your skin feels luxurious and the moisturizer minimizes fine lines and wrinkles, evening the skin tone. The liquid silk consistency helps the moisturizer blend easy and nicely with your skin complexion. The scent is subtle and nice, without lingering for long time on your skin. Applying the moisturizer is easy and a little goes a long way, so the moisturizer is going to get you good for a nice amount of time. The moisturizer does many things for your skin: hydrates, moisturizes, protects against UVs, evens the skin tone, eliminates the dark spots and fine lines. Sure, it doesn’t come with the lowest price out there, but it’s you to decide how much your skin is worth it. Read our full reviews of similar products: the Illuminating Tinted Moisturizer from Laura Mercier.